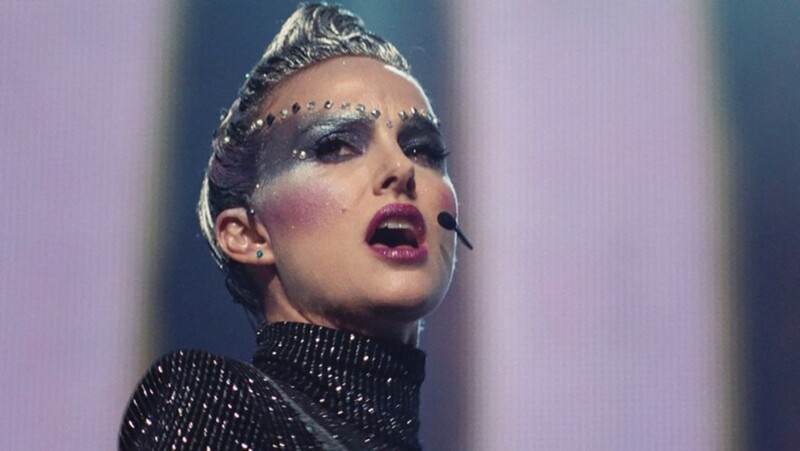 During this years CPH:DOX you can also experience the Sundance hit Vox Lux starring Natalie Portman and Jude Law. You’ll see American celebrity culture meets the violence of reality in a hyperrealistic film about a pop singer on the verge of a breakdown. The film is a part of the festivals Fiction for Real programme. As a teenager, Celeste (Portman) experiences a school shooting that massacres most of her closest friends. She miraculously survives thanks to a mixture of rehabilitation, unimpressed teen spleen and all-pervasive sibling love. Her big sister (Stacy Martin) takes her under her talented wings, and together they start to write songs from Celeste’s sickbed. The media immediately catches the surviving teenager’s potential, and she becomes the nation’s darling overnight. As a rising star on the American pop scene, she and her sister fall straight into the celebrity circus. And this is where Natalie Portman comes into the picture, decades later, as the fast ageing pop star at the top of her career, surfing on a wave of drugs, prima donna whims, insecurity and megalomania. In 2019, the Copenhagen Fashion Film Festival tells a story of fashion short film. Fashion short film has always been an element of the festival in connection to our open call competition but we now want to delve more deeply into the genre by giving insights into the films, their style, expression and narrativity as well as showcasing their beginning and early developments. Although the fashion short film has developed considerably over the years, it is not yet fully defined as an independent genre, which implies a range of possibilities to continue experimenting and to break boundaries. In the Copenhagen Fashion Film Festival, we believe that we have a responsibility to convey the times we live in and present and investigate new tendencies and movements in our society. We also believe that cultural issues can be discussed and communicated in a new way through the medium of film and that different topics can more easily be displayed to the viewer if the fashion short film is perceived as visually and aesthetically interesting. We are happy to present 10 curated film programmes divided into various themes such as early fashion films from 1900 – 1910, music & dance, young talents, art, sustainability and body & identity together with a wide selection of the best of fashion short film curated by SHOWstudio, all the winning films from Copenhagen Fashion Film’s previous festivals and last but not least the 2019 official open call selection. With a specially curated selection of fashion films from all over the world accompanied by a talk programme with some of the most important people in the fashion film industry, we will hopefully be a little closer to comprehending the scope of fashion short film. Copenhagen Fashion Film investigates and mediates fashion in a new way, by focusing on the close connections among fashion, film and artistic practices. CFF consists of an annual film festival, independent film screenings, debates, events and exhibitions. CFF functions as a common basis for discussing new ideas and experiments in fashion, film and communication. We provide the framework for collaboration among designers, artists, directors, companies and researchers while encouraging active participation from our diverse audience. Fashion film as a concept is a hybrid that covers several genres. A fashion film can be a film made by a designer, photographer, artist or a brand. It can have fashion as the leading role or as a supporting character. Fashion film can be silent movies, documentaries, feature films and contemporary art films. Either way, a fashion film showcases garments, designs, and costumes through the medium of film, making fashion an essential part of the visual narrative. Uniquely to Copenhagen Fashion Film, we showcase both historically and contemporarily interesting fashion films, since we believe that fashion history is an important part of today’s fashion. At the same time, we pay special attention to the rapidly growing phenomenon: the fashion short film, which has become one of the most important tools in fashion communication today. There is no exact recipe for making a fashion short film – it can be highly diverse in the way it looks, sounds and feels. The important thing is to rethink and challenge fashion communication. Every year, we have our annual film festival in Copenhagen. The festival focuses on the connections between fashion and film through various film screenings, talks, debates and special events. The festival has changing themes related to the cultural aspects of the history, present and future of fashion and film. Combining the best of contemporary fashion films with a special selection of old cult fashion movies, the festival audience is not only in for breathtaking cinematography but also outstanding fashion film treats. Copenhagen Fashion Film mediates fashion in a new way and functions as a common basis for discussing new ideas and experiments in fashion, film and communication. We aim to give our audience an aesthetic experience that connects the dots between fashion and film by curating the best fashion films. Today film is a fast growing medium within the fashion industry. It’s a great way of showing designs as it expands the designer’s artistic expression from the static fashion photography and has the potential to function as an effective marketing tool in the present digital age. Copenhagen Fashion Film wants to embrace this development and get the audience as close to the designer and garments as possible. Last but not least we want to celebrate the actors, the directors, the costumiers, and the designers throughout history who have had an impact on our culture, creating films with a strong sense of fashion.